A total of 180 Central American tourism businesses are offering products and services to 108 wholesalers from Europe at the XI edition of the Central America Travel Market (CATM), held Thursday and Friday in Costa Rica. The event brings together tourism ministers and officials from the region and members of international specialized media at the Pedregal Center in Belén, Heredia, north of the capital. According to the Costa Rican Tourism Board (ICT), fair participants include hotels, car rentals and tour operators, among others. “As country host, we hope that everyone attending this event will experience our sustainable tourism model that differentiates us from the rest of the world,” said Costa Rica’s Tourism Minister Wilhelm von Breymann at an opening ceremony on Thursday morning. ICT officials hope the event will help the tourism sector in the region, which according to the World Tourism Organization reported a 6 percent increase in international tourist arrivals for the first half of this year. “European tourists account for some 10 percent of the total arrival of tourists to Central America, and CATM represents a big opportunity to attract more visitors of a market that in 2013 moved some 566 million travelers worldwide, or 52.1 percent of the tourism market share,” Costa Rica’s National Tourism Chamber President Pablo Heriberto Abarca said. 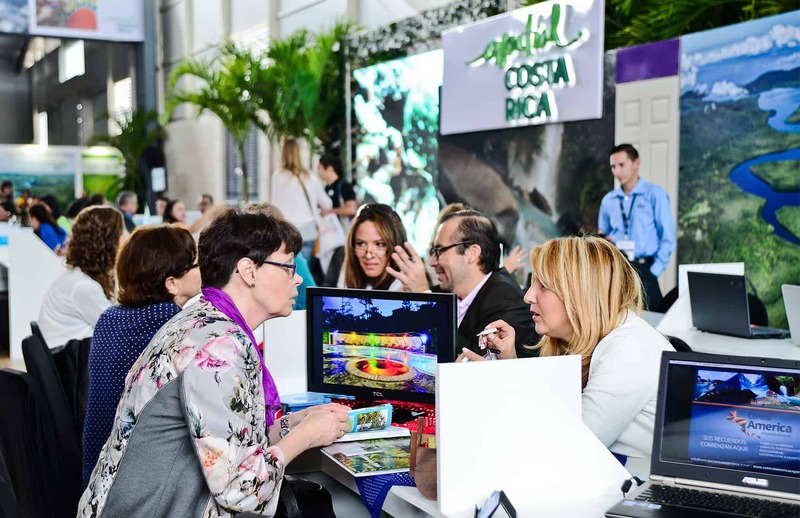 Costa Rican officials organized parallel activities for wholesalers and international media, including trips to some of the most popular tourist destinations across the country. Those trips included the Southern Caribbean, Tortuguero, Monteverde, the Northern Zone, beaches at Guanacaste and the South Pacific and several locations in the Central Valley.